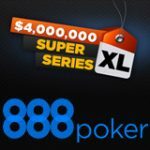 The Super XL Series 2016 returns this weekend with two million dollars in guaranteed prize pools spread across thirty-eight 888 Poker tournaments. 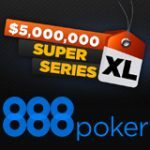 The 888poker series runs for one week only between 24-31 January with a wide range of buy-ins suiting players of all bankroll amounts from micro-stakes to high roller. 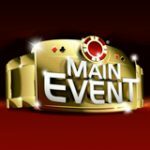 The final day features a million dollar guaranteed Main Event as well as a Micro, Mini, Turbo and Super Turbo versions of the Main Event. Get ready for a week of non-stop guaranteed poker tournaments with at least five events taking place everyday. The Super XL Series returns for the fourth edition of the tournament series powered by 888poker. 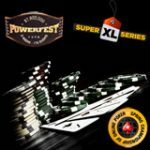 If you haven't get qualified for the events you would like to play be sure to check out the Super XL qualifiers or buy-in directly on the day of the tournament. 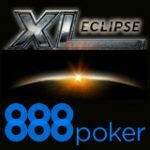 888poker is currently the Worlds second largest poker site ranking under PokerStars for traffic with a long list of sponsored poker pros and ambassadors representing the brand. 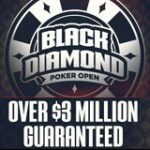 You can catch some of these pros at the tables including: Sofia Lovgren, Jackie Glazier, Dominik Nitsche, Bruno Politano, Bruno Kawauti, Akira Ohyama and Nico Villa Lobos.